After some years in the cinematic wilderness, Jodorowsky struck back in the late Eighties with this intoxicating, staggering work. This was my first taste of this director and his pronounced talents. It was also something of a turning point for the director, making a film that was somewhat more coherent that some of his previous work and one that would prove to be his most successful and widely distributed at the box office. Produced by Claudio Argento, brother of legendary Italian director Dario, “Santa Sangre” is set in a circus where a series of traumatic events beset our main character, Fenix (played by Axel Jodorowsky, the director’s son). “Santa Sangre” is one hell of a strange brew, taking in mother-son relations not a million miles away from the Alfred Hitchcock classic “Psycho”, Mexican wrestlers, a religious cult that worships a girl who was raped and had her arms cut off and the life in a circus. The way Jodorowsky uses colour and music in this film is an absolute sight to behold. Unlike a million films out there, this truly grabs and engages the viewer on a primal and sensory level. Like all of his work, it challenges and provokes, especially with its point of view on religion. “Santa Sangre” is quite possibly the best showcase for what makes Jodorowsky such a talented director, toning down on some of the more self-indulgent and excessive qualities that have limited him to a somewhat select audience. If you want a good place to start with Jodorowsky, either “Santa Sangre” or “El Topo” are excellent in that respect. 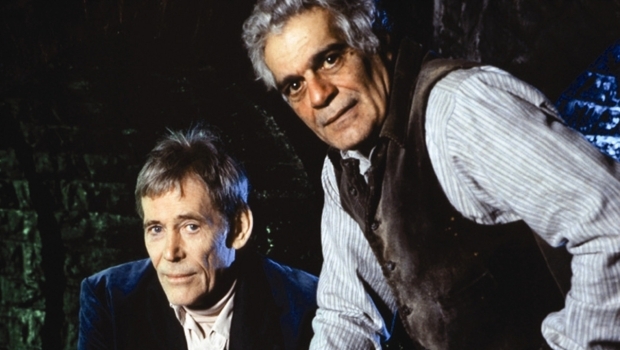 Jodorowsky was a mere director for hire on “The Rainbow Thief”. Therefore, his strong sense of authority and style were somewhat absent in what we see onscreen. At the same time, minus some of the more confronting and disturbing imagery the director is known for, this is a somewhat gentle fable about a thief looking for that proverbial ‘pot of gold’ in life. Starring Peter O’ Toole, Omar Shariff and Christopher Lee, it is an absolute shame that this film bypassed cinema release altogether, only popping up on release on VHS in America. Like “Tusk”, it deserves to be seen by more people than what it has. After a twenty-three year absence as a director, amid rumours of projects such as “The Sons Of El Topo/Abelcain” (a sequel to “El Topo”) and “King Shot”, both of which, like the director’s proposed take on “Dune”, fell down at various stages of production, “The Dance Of Reality” seemed to materialise out of nowhere. Now in his Eighties, this was Jodorowsky looking back at his childhood. “The Dance Of Reality” could be best described as semi-fictional autobiography, his answer to Fellini’s “Amacord” (1973) or Woody Allen’s “Radio Days” (1987). “Dance” looks at when the director was a child, dealing with a tyrant father and a loving mother who, in the film, can only speak by singing in an operatic voice. Exaggerated, emotionally charged and, at times, exceptionally moving, this was an incredibly welcome return from a truly great director. 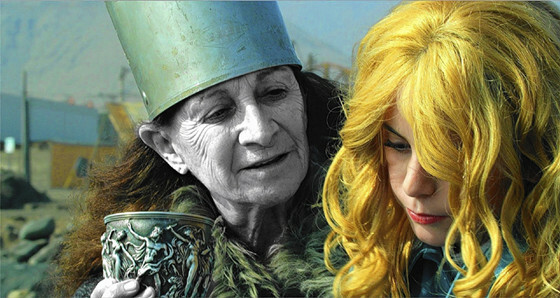 “The Dance Of Reality” was a deeply felt and highly personal work for Jodorowsky. The way in which, as himself, he floats in and out of the film reflecting on moments of his past, looking back as an older man, are really unique and quite affecting. A truly beautiful and haunting work, this has suffered a somewhat haphazard and patchy release around the world over the past year. It will be released on DVD and Blu-Ray next month in America. I cannot recommend it highly enough. 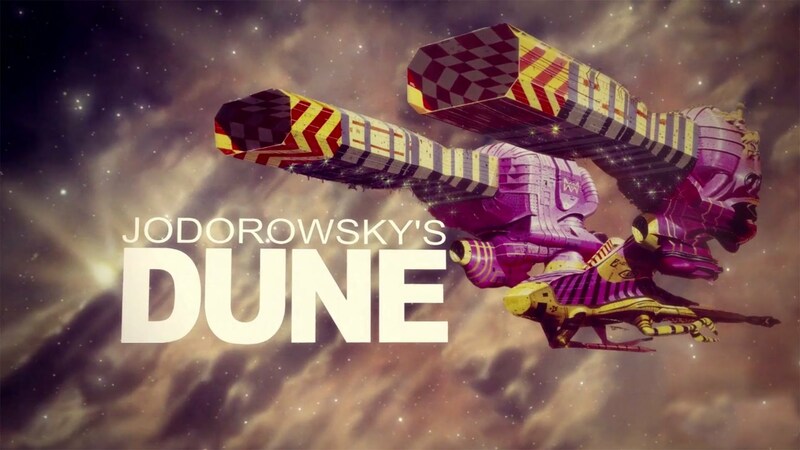 “Jodorowsky’s Dune” is a revealing and incredibly enlightening documentary on director Alejandro Jodorowsky’s attempt to make a film version of the classic Frank Herbert novel “Dune” back in 1974. This doco is an affecting story of obsession and passion, namely that of Jodorowsky. The man himself is front and centre in the doco, now in his Eighties and still mentally sharp as a tack. The doco details how this film, with its ground breaking ideas and philosophy towards production design, special effects and casting, would have completely changed the game that was Hollywood. The cast and crew that Jodorowsky had in mind for his version of “Dune” was mind boggling to say the least! People involved would have included graphic artist Moebius, designer H.R. Geiger, writer Dan O’Bannon, Mick Jagger as Feyd Rautha, Salvador Dali in an acting role as Emporer Shaddam IV, Orson Welles as Baron Harkonen, a soundtrack by Pink Floyd and spaceship visual designed by renowned British illustrator Chris Foss. Needless to say, this is one of the most tantalising and intriguing ‘what ifs’ in cinematic history. To its eternal credit, the doco discusses the fact that where the project fell down was the fact that Hollywood was scared of Jodorowsky and his absolute passion towards the project. Consisting of business men and/or ‘number crunchers’, Hollywood simply didn’t get someone like Jodorowsky, who didn’t think the way they did. The doco also features two wonderful interviews with directors Richard Stanley and Nicholas Winding Refn, two directors I would consider the cinematic and spiritual grandchildren of Jodorowsky. In fact, Refn dedicated his last film, the utterly surreal “Only God Forgives” (2013), to Jodorowsky. Over time, the two have become good friends. It is Refn that takes us through the remarkable hardback edition illustrated script of what Jodorowsky had in mind with his take on “Dune”. Although Jodorwsky’s vision of “Dune” never happened, it’s interesting to note the influence of this project upon the subsequent decades of film making that followed it. Gieger and O’Bannon later worked on one of the most ground breaking and astounding films in history, Ridley Scott’s “Alien”, from 1979. The now infamous and iconic ‘chestburter’ scene. The creature design was by H.R. Geiger. More recently, the eye catching space craft you see in the James Gunn film “Guardians Of The Galaxy”, possibly the finest hour of Marvel Studios so far, were designed by Chris Foss. It’s also interesting to note how scared Hollywood was to invest in a film directed by Alejandro Jodorowsky for fear that they would lose money on this project. In sharp contrast a mere five years later, Hollywood received a rude wake-up call in the form of the budget busting, studio bankrupting debacle that was Michael Cimino’s “Heaven’s Gate” (1980). Why Hollywood was scared of Jodorowsky and yet this example of the industry running wild was allowed to happen will remain one of the great mysteries of the film making industry. “Jodorowsky’s Dune” gives viewers a strong and unforgettable insight into the life and philosophy of Jodorowsky and what makes him a true original and a total one-off as far as cinema is concerned.